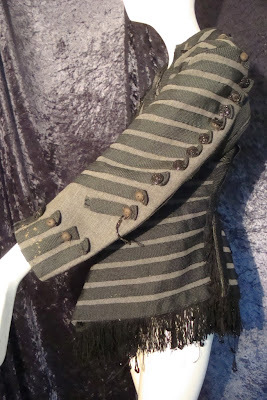 In this auction, you are bidding on a Victorian bustle gown jacket fashioned out of a dense grey wool with black trim, military style. 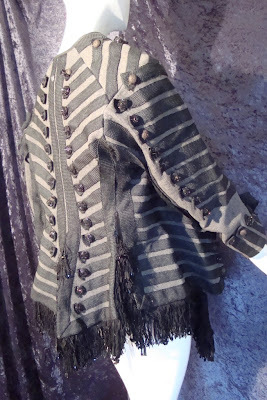 Fringed with ribbon and jet beads, some of which need to be restitched. 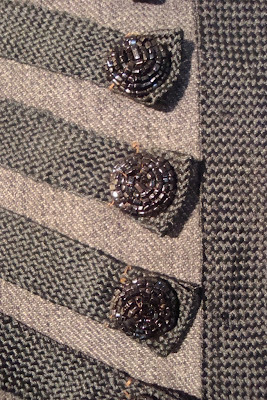 Button details covered with black bugle beads, some of which have lost their beading. Incredibly stylish back split for the bustle gown-fringed throughout. Needs a little restoration, but overall an INCREDIBLE design, looks stunning on. 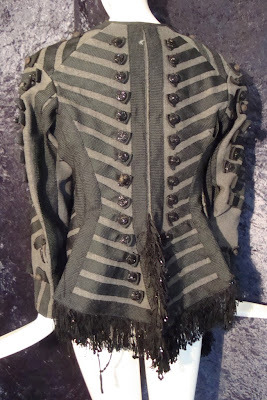 This is honestly one of the weirdest jackets I have seen. 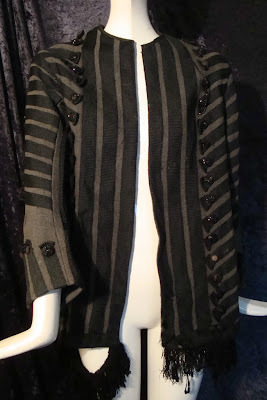 I love the back of it but I don't like the front at all. 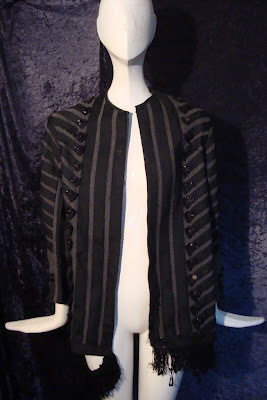 My guess is it's Edwardian based on the sleeves and the love of jet black beaded buttons. However, I honestly don't know.